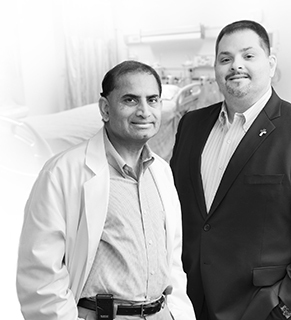 At Beebe Healthcare, expertise is something that we build upon every day, every week and every year as we continue to expand our clinical team with highly trained, exceptional physicians and medical professionals. We have the right combination of specialty Medical Staff and primary care physicians practicing evidence-based medicine, and utilizing advanced surgeries, procedures and technologies that result in the most optimal patient outcomes possible. Beebe Healthcare has received annual awards of excellence through Healthgrades again and again within a number of specialties; and, our cancer care, orthopaedic and cardiac services achieve the highest levels of professional recognition and consumer praise. Advanced procedures such as coronary angioplasty, stent implantation and open-heart surgery, are performed in state-of-the-art facilities by a team of experienced cardiovascular interventionists and heart surgeons. Thousands of procedures and surgeries have been performed to date. Our team of highly skilled orthopaedic surgeons and their surgical teams have the knowledge and experience to perform at the highest levels of their specialty. Orthopaedic procedures jumped from 100 major cases in the early 1990s to 1,250 cases in 2011, with the Orthopaedic program consistently earning patient satisfaction scores between 90 percent and 100 percent throughout that time. For the third time, the Commission on Cancer of the American College of Surgeons gave the Tunnell Cancer Center a Three-Year Accreditation with Commendation, recognizing a level of skill and experience that is among the best in the nation. Our multidisciplinary approach to cancer care is second to none. Beebe welcomes your questions or comments.